A woman suffered a stroke by tearing a major blood vessel in her neck while practising a yoga headstand. 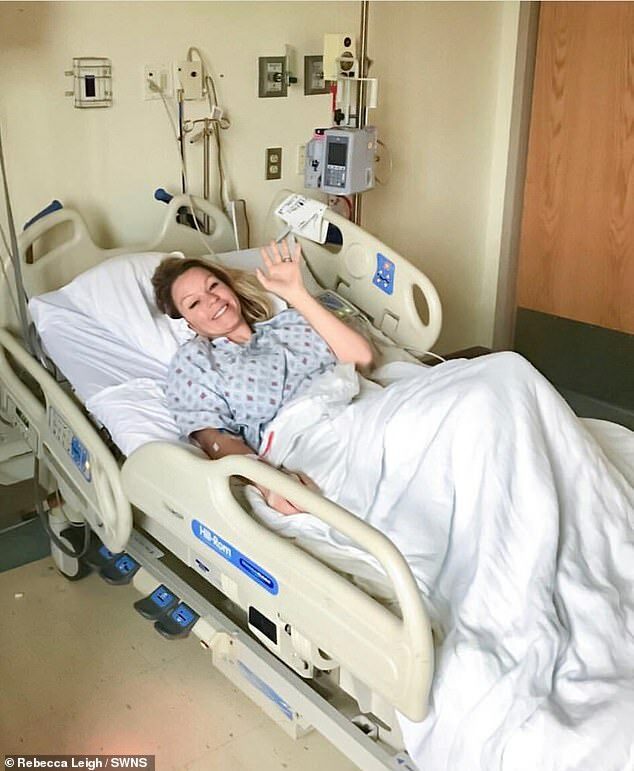 Rebecca Leigh, 40, of Gambrills, Maryland, had been filming a tutorial for her 26,000 social media fans just hours before the injury. Her vision became blurry, her limbs weak and she had headaches, but she put it down to a prior health condition. Today, the yoga obsessive cannot speak for more than a few minutes due to nerve damage, has daily headaches and has severe memory loss. Astonishingly, just one month after the terrifying experience, Mrs Leigh was back on her mat and she still practices yoga for an hour every day. Mrs Leigh, who for six weeks was barely able to get out of bed as her artery healed, said: ‘After decades of focusing on working out and my diet and making as many healthy decisions as I could for my body, having a stroke by doing yoga just didn’t seem fair.